To kick off Gamescom 2018, Microids has released the very first teaser trailer for investigation game BLACKSAD: Under The Skin. 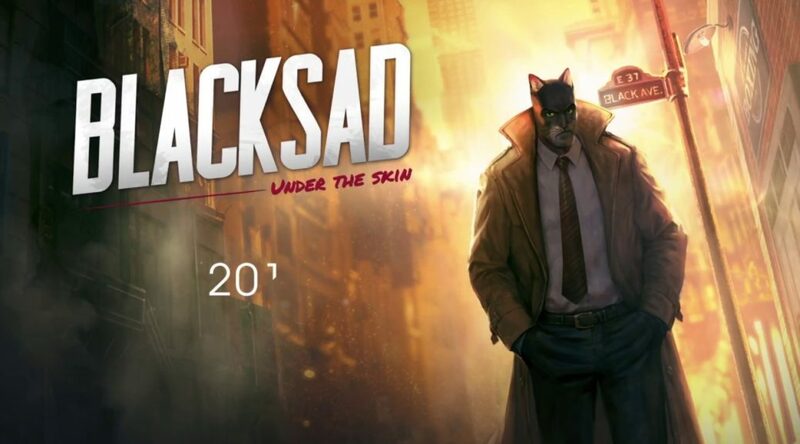 BLACKSAD: Under The Skin is scheduled to launch for Nintendo Switch in 2019. Microïds and Pendulo Studios are delighted to unveil the first teaser for BLACKSAD: Under the Skin. It will give players a chance to discover the unique 1950s New York ambiance created by Pendulo Studios, where private detective John Blacksad will conduct a new investigation. BLACKSAD: Under the Skin will be available to play at Gamescom only in the fair’s business section. In 1950s New York, the owner of an unassuming boxing club, Joe Dunn, is found hanged. At the same time, his protégé and best hope, Robert Yale, is declared missing. Devastated by this terrible news, Joe Dunn’s daughter, Sonia, decides to continue her father’s dream regardless. She takes over the reins of the club and hires John Blacksad to investigate the mysterious disappearance. The fight of the year is just around the corner and the club, in dire financial straits, will not survive if Robert Yale doesn’t turn up. During his investigation, John Blacksad will find himself plunged into a world of rampant corruption.